The Search N Rescue Super Hide Away Orange Trapper retriever closes down to 22’ and extends to 10’ with a full reach of 14’. 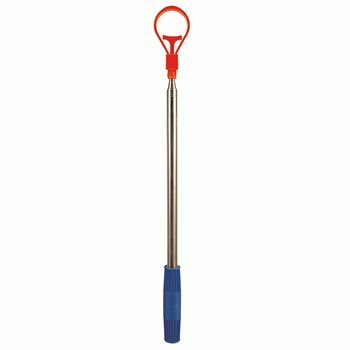 The Orange Trapper is simple to use - place either side of the trapper over the ball, pull slightly and lift. The retriever is made with stainless steel that is lightweight and durable.